The BBC, a pioneer in bringing on-demand programming to iOS users, is now leveraging Apple's mobile platform to build a client app to allow reporters to upload images, audio and video using an iPhone or iPad. According to a report by Journalism.co.uk, the new app will even enable the broadcaster's journalists to report live from their iOS devices over 3G mobile data networks. The app is expected to be available in about a month. Martin Turner, the BBC's head of newsgathering operations, told the site that the new iOS app was "a logical extension of what the BBC can do already" but noted that it was a "significant development" and that the capability to file live reports from mobile devices "is a really important one." Speaking of Apple's iPhone, Turner said "we are using it at the moment because it offers us the best combination of features, but it is not the only solution," and added that the BBC was "not wedded to the iPhone." While a variety of networks have made available iOS apps to enable citizen reporting, the BBC appears to be the first broadcaster to commission an app for its own reporters to use. Other reporters have already begun using the iPhone and iPad to file their reports however. 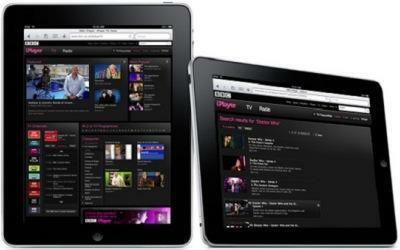 The BBC was also the first broadcaster to aggressively move to adopt Apple's recommended H.264 video on iOS devices, beginning with its iPlayer app for iOS apps in early 2008. Prior to that, the BBC and most other commercial content providers on the web were reliant upon Adobe Flash to make such videos available.